NEW YORK , NEW YORK, UNITED STATES, January 11, 2019 /EINPresswire.com/ — The Perks Group is a national program that provides regional discounts to its members, helping them save on a range of items, excursions, and services. PerksConnect gives its members discounts on more than the luxuries in life, treating them to savings on many necessary purchases. Companies across the country invest in Perks Group offerings to give them access to a world of discounts and encouraging retention while demonstrating employee appreciation. Perks is a comprehensive program that helps members save money on many of their traditional purchases. The discount merchandise service comes with savings on thousands of brand name items as well as more essential purchases like coupons for grocery stores and local restaurants. While the merchant network does save members hundreds of dollars each year on things like local attractions, travel, and shopping, PerksConnect also offers discounts on necessary items and services like gas and home cleaning that can be used by anywhere in the US. The driving concept behind the Perks Group’s offerings is “there is strength in numbers.” With this idea in mind, the group brings together consumers, local merchants, daily deal networks, national merchants, manufacturers, and distributors all under one program to ensure savings and convenience to its members. Today, over 200,000 business locations throughout the U.S. honor perks discounts, making it one of the strongest and most robust discount programs in the country. New merchants are added daily, so the Perks Group recommends that members visit the program website regularly to check for updated discounts and fresh offerings. Users link up easily with local discounts since the program offerings are found online or accessed through a smartphone app. Members can search by city, state, and zip code for discounts to find local deals or else update lists of potential savings in various regions while traveling. All members need to access their discounts is a smartphone, access through an 800-number using a value code, downloading coupons online, or using instant savings by making purchases online through a qualifying link. 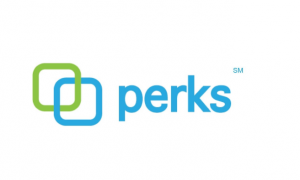 Perks started out in 1988 as an employer-sponsored savings program for companies with 1,000 or more employees. The affinity program has grown to accommodate members across the country with top-notch savings both near and far, and it regularly updates its offerings to stay relevant and easy-to-use. In 2011, the group began offering mobile discounts through the PerksConnect app so members could access any of their savings on the go. The Perks Group is used today in over 1,000 major corporations, colleges, alumni associations and other affinity groups throughout the United States with millions of members earning discounts and savings. And as the number of local and national merchants continue to rise, so do the offerings, which explains the constant growth of the Perks Group’s lucrative program.